American fantasy author of several award-winning and bestselling book series. His best-known works include Percy Jackson & the Olympians, The Kane Chronicles, the Tres Navarre books, and The Maze of Bones. A graduate of the University of Texas, he taught social studies and English at a San Francisco high school for nearly a decade. He published the first novel in his Tres Navarre series, Big Red Tequila, in 1997. 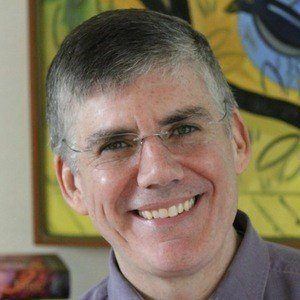 He is a two-time Mark Twain Award winner (2008 & 2009), as well as winner of the Children's Choice Books Awards for Author of the Year in 2011. He grew up in San Antonio, Texas. He and his wife, Becky, later settled in Boston, Massachusetts with their two sons, Haley and Patrick. He created the Percy Jackson character, who is portrayed by Logan Lerman in the Percy Jackson films.